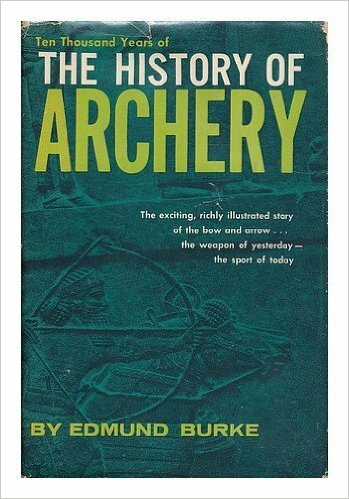 "The History of Archery" is an anthropologist's / historian's ideal book when researching many historical details about archery. 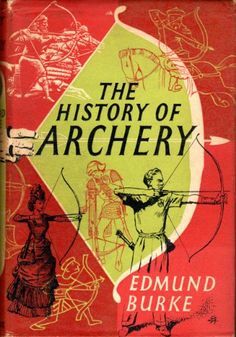 Every page has multiple historical tidbits that would excite the mind of both anthropologists and historians who are likewise lovers of archery. Someone who hates history however (and likewise anthropology) would probably find this book to be relatively boring however. I did not. The archaelogist / historian in me was instantly mentally storing such historical bits of information in my brain, possibly for future conversation. "Hercules, or Herakles, the Greek demigod, was famed as an archer and most of his statues show him equipped with bow and arrows. There is one story which stresses his ability as an archer. Hercules was returning home with his wife Deianira when they came to the river Evenus. Nessus, the centaur, was the ferryman, but his craft was so small that he could only carry one passenger on a trip. Accordingly he crossed first with Deianira, leaving Hercules on the bank. When Nessus and the girl reached the other side, he dragged her off, intent on ravaging her. Hercules, outraged, fitted an arrow to his bowstring and sent one shaft speeding across the Evenus to fell the centaur. Then in his rage he leaped into the river and swam across." Thus this isn't simply a history book. It deals with the anthropological, historical incidents, and also mythological examples of how archery permeated a variety of cultures. Later in the book, in the chapter "The Yeomen Bowmen", the book also ends up talking about the history of archery books and writers. eg. Roger Ascham's book "Toxophilus", which Burke describes as being "the classic in the field" and "as valuable to the archer today as when it was written four centuries ago." Burke also discusses the decline of archery in warfare when compared to firearms. Under the rule of Oliver Cromwell there is also an interesting incident of an archer being arrested for high treason against the state. It was due to a misunderstanding involving the best archer in all of northern England, a man named John King of Hipperholme. Having previously won many competitions, John King was defending his title against all challengers. He won, of course, and during the celebrations he was hoisted upon the shoulders of a jubilant crowd with cries of "a King". This apparently was too much for Cromwell's soldiers to handle, and they dispersed the crowd and arrested John King. King was taken to Manchester for a trial, but eventually more even heads prevailed and John King was freed. Next, there was also the last duel conducted with archery. Two men in Edinburgh, in 1791, having a heated disagreement about some obscure point agreed to have a duel with bows. They found seconders and a surgeon, and met the following morning outside of the city. Each man had three arrows apiece. They walked 100 paces apart... and missed all three times, both of them. Neither of them suffered even a slight injury. Having attained satisfaction at least that they had completed the duel, the argument was considered settled. The chapter "The Red Archers" is one of the few examples in the book that are not Euro-centric or white-centric. It deals with Native American archers, and it this chapter which really hammers home the idea that this book was written in 1957 and the terms it uses are by modern terms considered derogatory. Still the chapter is full of numerous examples of "Amerindian Archery", such as when the Spaniards arrived in Florida with 300 horses and ended up with only a handful, learning that Native arrows could easily pierce their Spanish chainmail and keep going. Eventually the Spaniards abandoned all of their armour and focused on trying to protect what few horses they still had. However Burke's underlying racism of the 1950s is made bare in his claim: "White men can and do make far superior flint arrowheads." on page 178. He doesn't offer any proof or evidence for his claim, but the racism (and sexism) is there for all to see. So why read Burke's book at all, let alone this chapter which frequently uses the words "primitive" and "barbaric"? Because despite it all there is still plentiful historical information. It just has to be read with a grain of salt and the knowledge that this man, while learned, was still ignorant and a sign of the times which was the 1950s. Even in 2016 we still have many ignorant idiots, including quite a few who are politicians, who say all manner of ignorant things. Burke also flip flops between praising the craftsmanship and skill of Native American archers and then dismissing other examples as primitive and poorly made, citing examples seen in private collections and museums, but without realizing that those found in museums / private collections might actually be poorly made replicas (fakes), might also be "failed attempts" which were never used, and lastly that those found might be authentic, but were made by someone who was not a master bowyer, a master fletcher, or a master flintknapper. Like today, even back then the quality of craftsmanship likely varied wildly from one person to another. Burke's final chapter "Just Yesterday - and Tomorrow" is a mash up of various bits detailing competitions, modern bowhunting, the rise of steel bows, aluminum bows, glass bows and plastic bows, influences on modern American archery, briefly talks about Zen Archery in Japan, Bushman archery in Africa, and laments the loss of primitive archery around the world. By the end of the book a reader probably would not be surprised if Burke said something along the lines of "primitive archery is really good, but white men can still do archery better", because that is clearly his underlying thoughts even though he never says it. He certainly loves the various anthropological aspects of the sport, but he regularly tempers it with a dose of comments about implied barbarism and primitiveness. The book really should be re-written. Take out all of his derogatory comments and leave all the historical information. A true history of archery should not be littered with such racist slander. Since this book belongs to the Toronto Public Library I have submitted to them a "Request for Reconsideration of Library Material". I am hoping they will remove the book from the regular library shelves and place it in Special Collections, possibly with a warning label on it. If an anthropologist or some other learned person wants to study the book they would still be able to do so, via accessing it in Special Collections, but it would and should be kept out of the hands of younger people who are more impressionable.